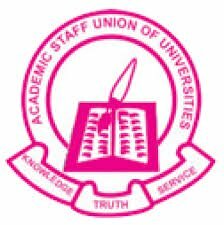 The Academic Staff Union of Universities (ASUU) has commended the Joint Admission and Matriculation Board (JAMB) for blacklisting 48 Computer Based Test (CBT) centres used for the 2017 Unified Tertiary Matriculation Examination (UTME). The President of the union, Prof. Biodun Ogunyemi, said in Lagos on Thursday that owners of the blacklisted centres should also be prosecuted. The 48 CBT centres were among more than 600 centres used for the conduct of the UTME held nationwide in May. JAMB’s Registrar, Prof. Is-haq Oloyede, had on Wednesday announced the blacklisting of the centres for alleged involvement in extortion and “organised examination malpractice” during the UTME. Oloyede said the decision was taken at the end of an enlarged meeting with external examiners and other stakeholders in the conduct of the examination. He also announced the cancellation of results of 50,000 candidates for alleged involvement in malpractice during the examination. “What JAMB has done in that respect is a welcome development and a good decision. “I will not expect it to stop at just blacklisting of such centres. “The leadership of the board should go a step forward by prosecuting owners of the affected centres in order to serve as a deterrent to others. “This measure will further ensure that the integrity of the examination cannot be undermined,’’ Ogunyemi said.